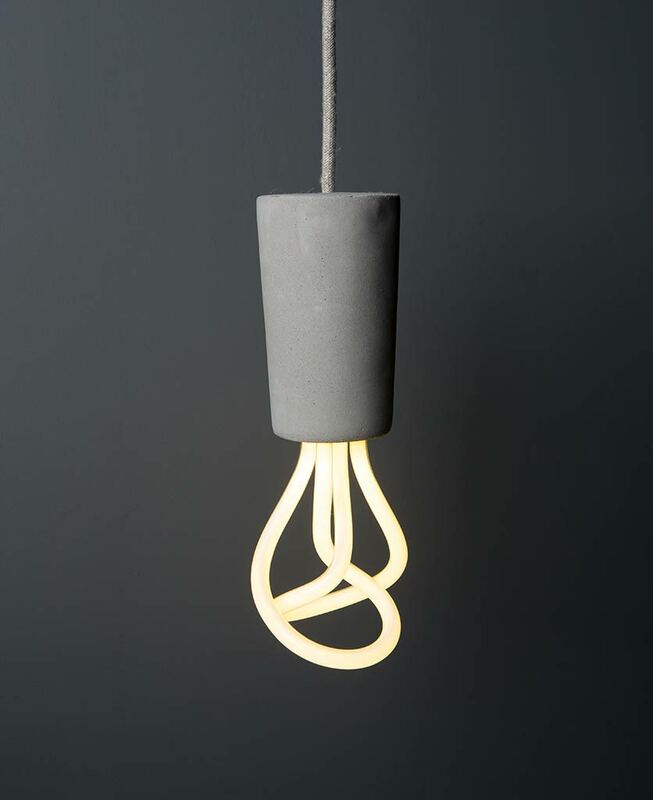 This lovely concrete pendant has been specially designed for use with a sculptural Plumen bulb. 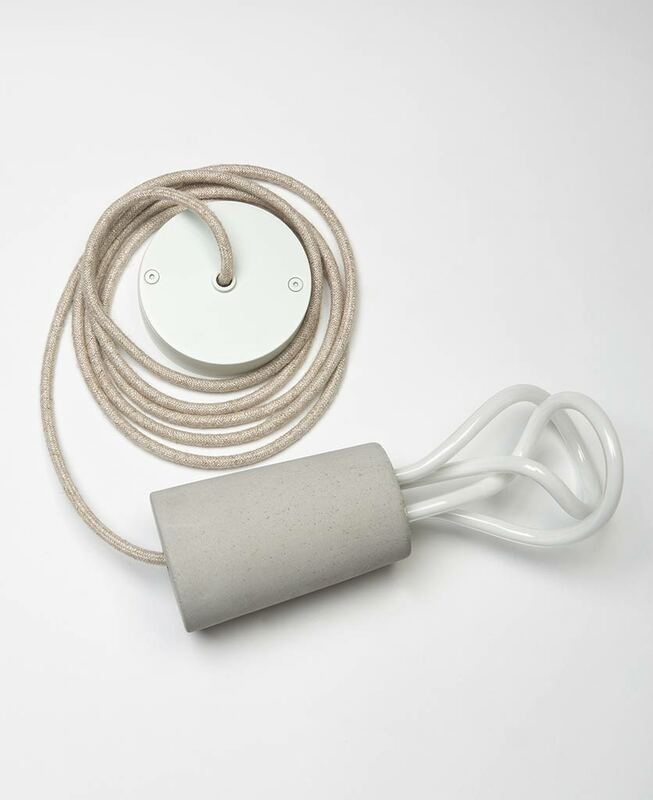 The smooth, pale grey bulb cap comes with a length of beautifully tactile linen cable, white ceiling rose and a Plumen bulb. A subtle and beautiful way to add texture to your room. 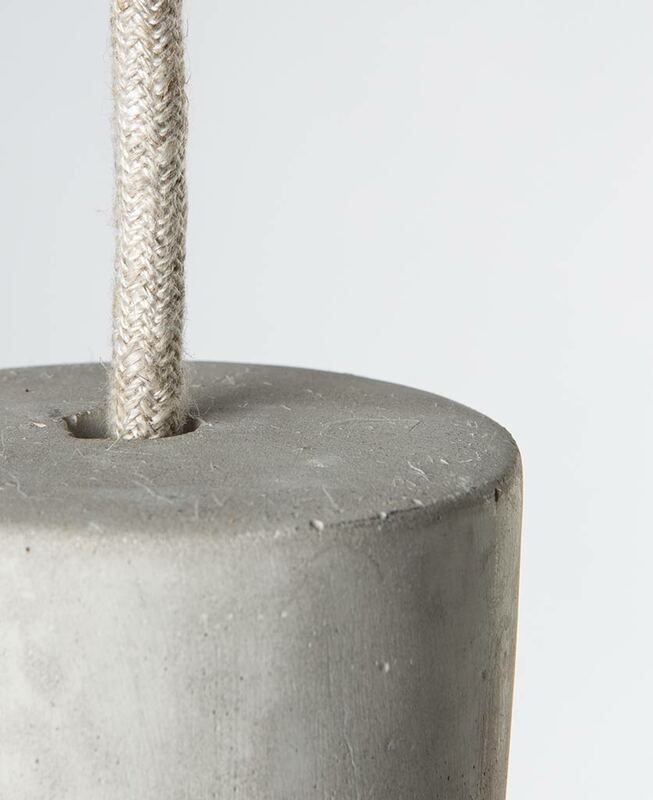 Is there a more rugged material than concrete? With a crisp urban grey finish and tiny bubbles of imperfection, this uber-stylish bulb holder oozes industrial charm. 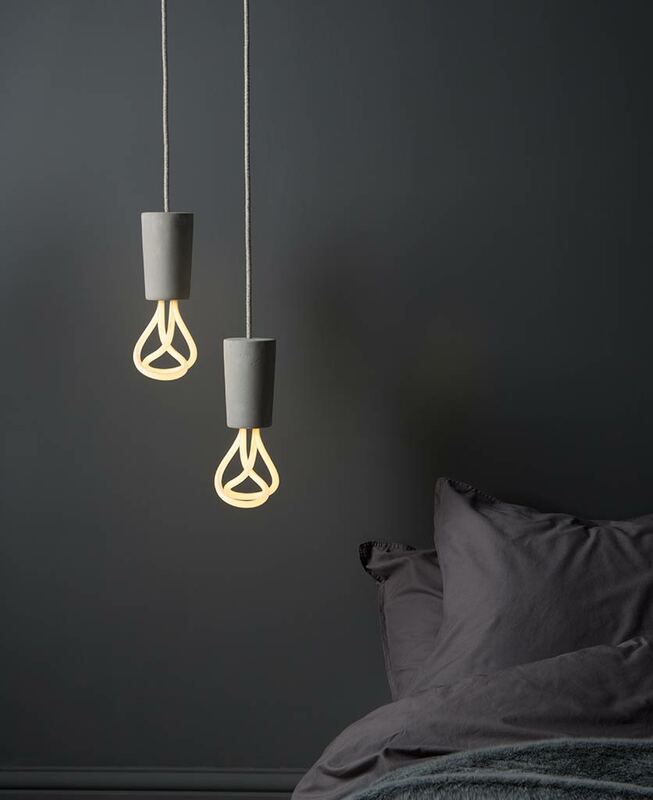 Throw in a contrasting Plumen light bulb and you’ve got yourself one chic pendant light. 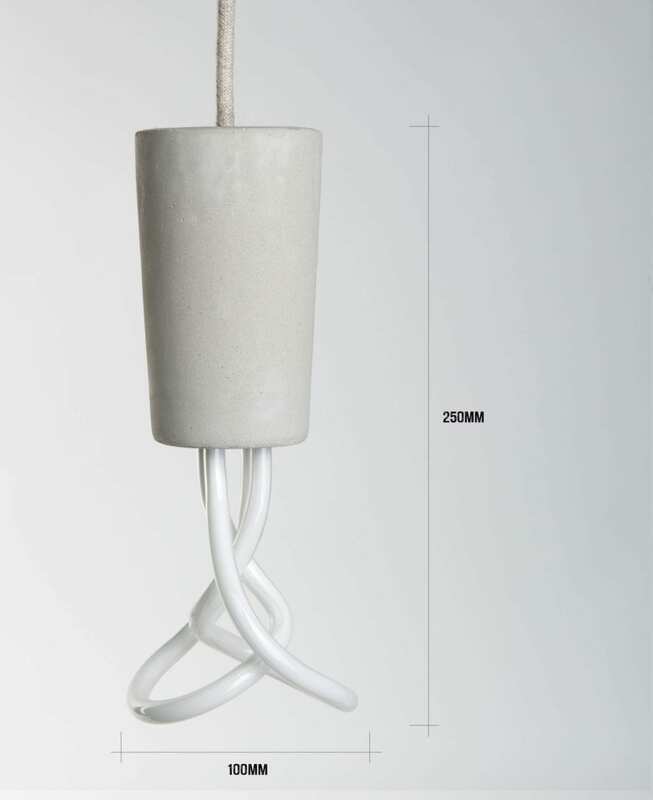 We love how the feminine curves of this sculptural light bulb accentuate the simplicity of the concrete. It’s a bit of an unconventional pairing, but it really works. 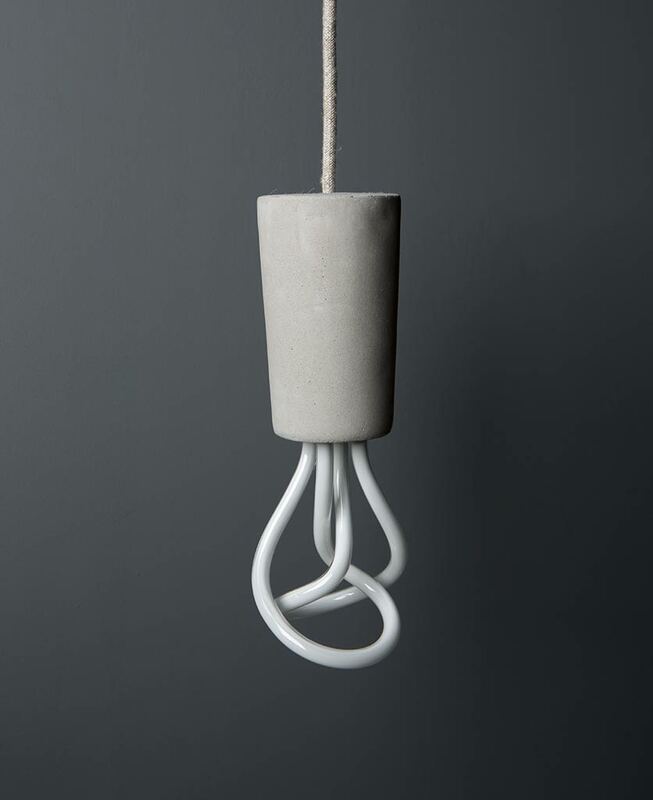 Each concrete pendant light is made to order and will be sent to you fully assembled with a white ceiling rose, a 3m length of linen fabric cable, concrete bulb cap, Plumen light bulb, screws, rawl plug and instructions. Only suitable for Plumen light bulbs due to depth of cavity.